How did SelecTech go from a fledgling recycling company to a leading manufacturer of innovative flooring products? By solving problems. For every problem, there is an answer – if not a solution. And in the answer, there can be an opportunity—even if it does not solve the original problem. That’s how our company, SelecTech, maker of innovative flooring products, began 25 years ago. One of my current business partners, Michael King, and I worked for a medical waste disposal company. The problem we were asked to solve had to do with disinfecting and recycling plastic from used syringes for re-use in some capacity. Our study and research revealed the recycled materials could never reach a high enough purity level to be reused in conventional plastics processes. But that didn’t preclude the recycled materials from being used in other ways. That answer led to the initial iteration of SelecTech, Inc. as a recycling company. Taking data from that research, we explored ideas on how to repurpose waste plastics. One of our first ideas was to create planters out of plastic wrap taken from delivery pallets. That one did well. Those planters sold at big box stores like Home Depot and Walmart. It also got the company off the ground and hooked us up with a, pardon the pun, ground floor opportunity. Dupont had a division that dealt specifically with flooring installation. Part of the business involved removing old carpeting from homes and offices. Dupont tasked us with finding a way to recycle one type of commercial carpeting for some use. Carpeting can be a difficult product to recycle. After some research and experimentation, we developed an industrial flooring tile that ultimately became Dupont’s Reptile. It was shortly after this time that we developed our soon-to-be patented glueless “zipper” interlocking system that enables the flooring to be installed over existing flooring with minimal subfloor preparation. In addition to easy installation, we also were able to develop the tiling in multiple colors. Up to that point, most of the industrial floor tiles were gray or black. The Reptile was available in six different colors. So, it looked better, installed more easily, was made from 70 percent recycled materials and was 100 percent recyclable. Best of all, Dupont sold the product through its North American chain of commercial flooring dealers. Around 2001, Dupont sold its entire flooring unit. The new owner shut down the division that sold Reptile. This was a problem with several possible answers. One was to say it was a nice run and call it a day. Another would be to seize this problem as an opportunity, acquire funding, and continue to create flooring products that had just begun to attract notoriety in the commercial markets. We opted for the latter. The solution was not without compromise. We outsourced the manufacturing of our tiles and continued to perfect our FreeStyle floor tiles. One thing we are very cognizant of are the special conditions at each facility where our tiles are installed. For example, moisture was an issue for some laboratory customers. Tiles needed to be liquid-tight. This request led to several other opportunities, one being the development of what would become the FreeStyle BioLock tile that’s installed in labs across the U.S. The moisture problem also led to another solution/opportunity. As a company based on the South Shore of Boston, we are very familiar with basements that flood during the winter. With our work on moisture for FreeStyle, we developed a retail product, Place N Go, that provides homeowners with a flooring alternative. While it will not stop flooding, the interlocking technology enables homeowners to remove tiles so they can be cleaned/power-washed and reinstalled after they dry. Another problem that became an opportunity had to do with static electricity. Many of our commercial accounts were manufacturers that worked with electronics, expensive computer equipment and other electrical components. 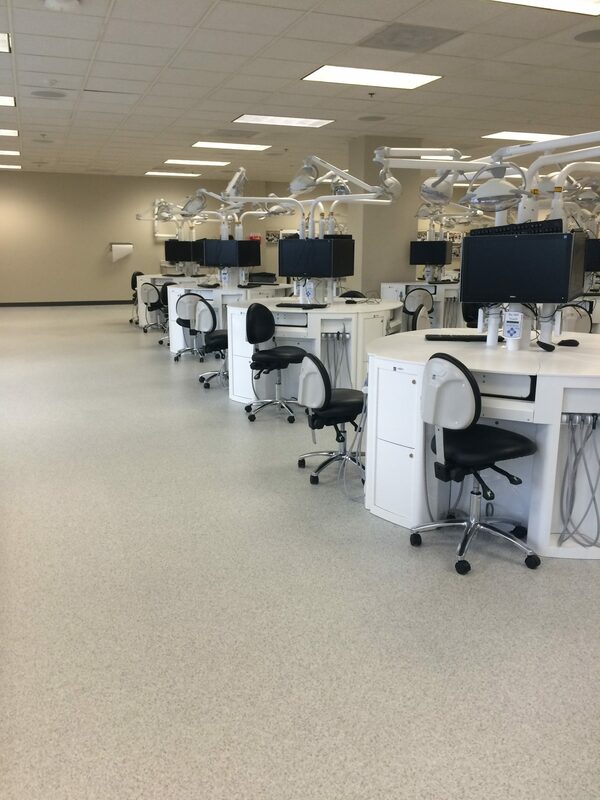 These companies required flooring with an ESD element to minimize the impact of static electricity. This request led to the development of our StaticStop line of products, which represents 1/3 of our revenues. Of course, we have not strayed from our initial concept: developing products utilizing recycled materials. Each year, we use more than one million pounds of recycled materials. In fact, many of our products are made with up to 70 percent recycled content and, as always, are 100 percent recyclable. Those installed without adhesives reinforce our commitment to being one of the “greenest” and most cost-effective flooring products available. Do we have the perfect product? As much as we like our flooring products we know the answer to that one. As we have come to learn in our 25-year history, imperfection is fine breeding ground for a solution that could be the next opportunity.